The 812 Ferrari Superfast powered by a front-engined 789 horsepower 6.5 liter V12 engine, 59 more horsepower than the predecessor F12berlinetta and mated to a 7-speed dual-clutch transmission. The 812 Ferrari Superfast has the Virtual Short Wheelbase 2.0 system which combines electric front-wheel steering assistance with the mechanical concept built around tire dimensions and the rear-wheel steering. Three pairs of curved dams were adopted on the underbody and are responsible for 30% of the increase in downforce compared to the F12berlinetta. The Brembo Extreme Design brakes combined with the Hi-Performance ABS of the 9.1 Premium ESP, improves the braking performance from 62 mph by 5.8% compare to the F12berlinetta. What a dream! The 2018 BMW i3 has a 170 horsepower electric motor which accelerates from 0-60 mph in 7.2 seconds with an electronic top speed of 93 mph. The first ever BMW i3s has a high output 184 horsepower electric motor taking it from 0-60 in 6.8 seconds on its way to a top speed of 100 mph. A two-cylinder range extender gasoline engine is available as an option for all BMW i3 models which extends the car’s overall range in everyday use by 87 miles, increasing it from around 97 miles to a maximum of 180 miles. Both come with the latest version of iDrive, which provides an intuitive interface for controlling numerous vehicle, infotainment, communications and navigation functions, specifically designed for BMW i. 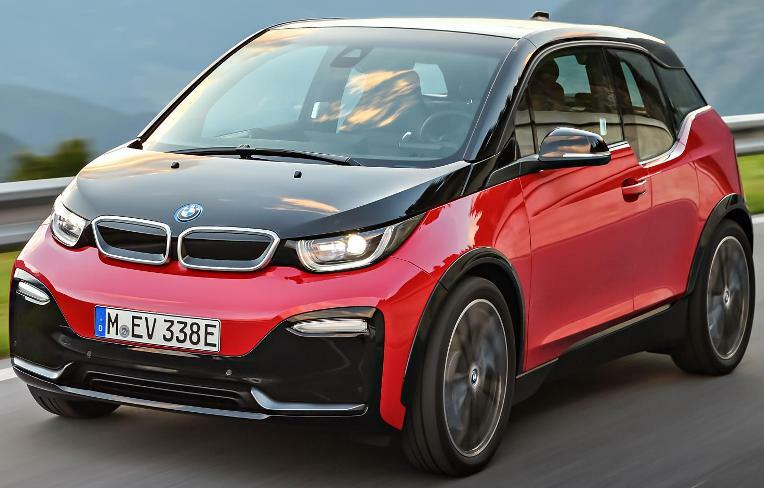 The 2018 BMW i3 and BMW i3s will debut at the International Motor Show in Frankfurt next month with pricing being announced closer to market launch. The Vision Mercedes-Maybach 6 Cabriolet, designed as an electric car, has a drive system with four compact permanent magnet synchronous electric motors and a flat battery in the underbody producing an all-wheel drive output of 750 horsepower with acceleration from 0-60 mph in under four seconds to a top speed electronically governed at 155 mph and a range of over 200 miles. The Vision Mercedes-Maybach 6 Cabriolet is limited to 300 worldwide. The 2018 BMW M5, in its 6th generation, powered by a 600 horsepower twin-turbo 4.4-liter V8 engine mated to a new 8-speed M Steptronic transmission with Drivelogic, will have a first ever BMW M xDrive system with 2WD capability. The rear-biased set-up ensures that the front wheels only come into play when the rear wheels are not able to transmit any more torque to the road. With 40 more horsepower than the outgoing model its 0–60 mph acceleration is 3.2 seconds. The all-new 2018 BMW M5 will be available at certified BMW Centers in Spring 2018 with pricing to be announced closer to market launch. The Volkswagen I.D. BUZZ concept car, a fully electric vehicle, shown at the 2017 Detroit Auto Show, will arrive at dealerships in 2022, after the compact four-door I.D. makes its debut. The production version of the I.D. BUZZ will incorporate many design ideas from the concept car, including multi-variable seating, interactive connectivity and highly automated driving. Volkswagen is mainly targeting markets in North America, Europe and China for the I.D. BUZZ. Hyundai’s second commercially produced hydrogen model uses the company’s fourth generation of hydrogen fuel cell technology which boasts an efficiency level of 60%, or a 9% increase from the the predecessor Tucson Fuel Cell’s 55.3%. The new model targets a driving range of more than 360 miles on a single charge (based on Korean testing standards) with maximum output of 161 horsepower, a 20% increase compared to its predecessor. Hyundai will reveal the new hydrogen SUV early next year in Korea, followed by the North American and European markets. After an eighteen year hiatus, the ‘8 Series’ name returns to the BMW portfolio with the BMW Concept 8 Series, a preview of a forthcoming BMW model slated for launch in 2018. The 2018 Hyundai Elantra GT, powered by a 161 horsepower 2.0L GDI 4-cylinder engine with either a six-speed manual or available six-speed automatic transmission has a starting price of $20,235 (including $885 destination charge). Features include available wireless charging, Electronic Parking Brake with Auto Hold, heated and ventilated front seats, new generation eight-inch navigation system that features Blue Link with three-years of standard service and an Infinity premium audio system with seven speakers including a subwoofer and Clari-FiTM Music Restoration Technology. The more powerful Elantra GT Sport has a 201 horsepower 1.6L Turbo GDI mated to a six-speed manual or seven-speed Dual Clutch Transmission with paddle shifters. The manual transmission GT Sport has a starting MSRP of $24,135 (including $885 destination charge). Advanced Driver Assists are available on Elantra GT Sport through Automatic Emergency Braking w/ Pedestrian Detection, Lane Keep Assist, High Beam Assist and Smart Cruise Control that features stop/start capability. Driver Attention Alert analyzes driver inputs to determine attention level and provide both a visual and audible warning if it determines the driver’s attention level has become too low. The new 2018 Ford Mustang GT, achieving 0-to-60-mph in less than four seconds, is powered by a redesigned 460 horsepower 5.0-liter V8 engine mated to an available 10-speed SelectShift® transmission. An all-new electronic control system features real-time adaptive shift-scheduling algorithms engineered to help ensure the right gear is engaged at the right time, including skip-shift and direct downshift capability. The new Mustang is due to reach showrooms this Fall. 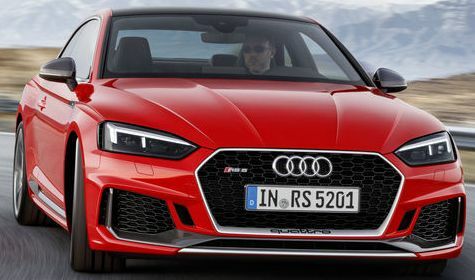 The Audi RS 5 Coupé, the gran turismo among the RS models from Audi Sport, is 2.9 inches longer than the previous model, and powered by a standard quattro drive 450 horsepower 2.9 TFSI bi-turbo engine mated to an eight-speed tiptronic transmission. The Audi RS 5 Coupé, is already on sale in Europe and is expected in the U.S. in the first quarter of next year. The Rolls-Royce Phantom, in its eighth generation, has an all-new aluminium spaceframe structure that's 30 per cent more rigid than its predecessor, sits on a new double-wishbone front axle and 5-link rear axle and is powered by a completely new 563 horsepower 6.75-liter V12 engine with two turbo chargers mated to a ZF 8-Speed transmission. Peter Schwarzenbauer, Chairman of Rolls-Royce and Member of the Board of the BMW Group said, “The BMW Group remains fully committed to the future of Rolls-Royce Motor Cars". The all-new 2018 Chevrolet Traverse, powered by the standard 310 horsepower 3.6L V6 engine mated to a 9-speed automatic transmission and featuring L, LS, LT, and Premier, along with the all-new sporty RS and top-of-the line High Country trim levels, starts at $30,875 (including the destination charge). The new 2018 Jaguar XJR575, the new performance flagship for the XJ range, is powered by a 575 horsepower 5.0-liter supercharged V8 engine which delivers a 0-60mph time of 4.2 seconds to its top speed of 186mph. Further announcements for the rest of the core 2018 Jaguar XJ range and U.S. pricing will follow later this year. The 2018 Buick Regal GS, has a new 310 horsepower 3.6L V-6 engine, 51 more horsepower than the model it replaces, mated to a standard nine-speed automatic transmission and intelligent all-wheel drive with active twin clutch and five-link rear suspension. The 2018 Buick Regal GS with all-new, heated/cooled and massaging performance seats starts at $39,990 (Including destination charges). Other Regal Sportback models will offer a standard 2.0T engine with a starting price of$25,915. TourX models with a starting price of $29,995 are expected to be available at dealers in February 2018. 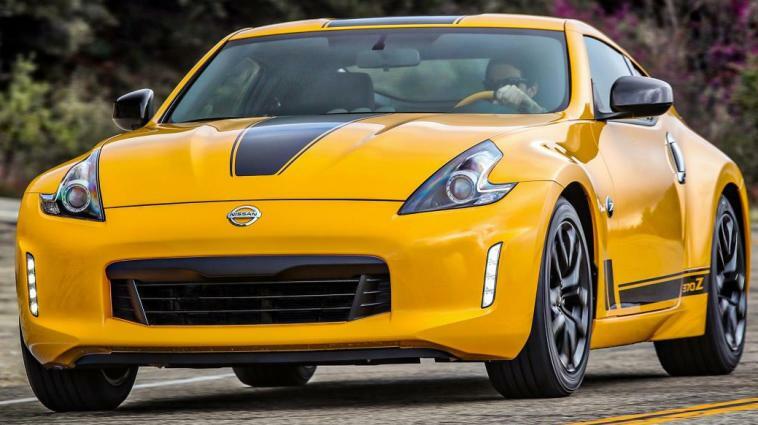 The 2018 Nissan 370Z Coupe, powered by a 332-horsepower 3.7-liter DOHC V6 engine with Variable Valve Event and Lift Control and choice of 6-speed manual transmission with an available SynchroRev Match® synchronized downshift rev matching system or a 7-speed automatic transmission with paddle shifters, starts at $30,875 (including $885 Destination and Handling charge). The similarly-powered Nissan 370Z Roadster starts at $42,705. The Nissan 370Z NISMO, powered by a 350-horsepower 3.7-liter DOHC V6 engine with Variable Valve Event and Lift Control mated to a 6-speed manual transmission with standard SynchroRev Match® or a 7-speed automatic with Downshift Rev Matching, Adaptive Shift Control and manual shift mode with paddle shifters, starts at $46,575. All are on sale now at Nissan dealers nationwide. General Motors reported July U.S. sales of 226,107, down 15.4 percent from July 2016. Year-to-date sales are 1,640,553. a 3.8 percent decline. Ford Motor Company reported July sales of 200,212, a drop of 7.5 percent from 2016. Year-to-date sales are 1,501,314, down 4.3 percent. Toyota Motor North America reported July 2017 sales of 222,057, up 3.6 percent. Toyota division posted July sales of 193,155, up 3.6 percent. Year-to-date Toyota Motor North America sales are 1,377,222, down 2.5 percent. FCA US (Chrysler, Dodge, Jeep, Ram, Fiat, Alfa Romeo) reported sales of 161,477, a 10 percent decrease compared with sales in July 2016. Year-to-date sales are 1,228,839, down 7 percent. American Honda reported total July sales of 150,980 Honda and Acura vehicles, a decrease of 1.2 percent vs. July 2016. Total Honda Division sales decreased 1.7 percent on sales of 136,803. Acura Division sales were up 3.7 percent in July on sales of 14,177 vehicles. Year-to-date American Honda sales are 942,866, down 0.2 percent. Nissan Group announced total U.S. sales of 128,295, a decrease of 3.2 percent over the prior year. Year-to-date sales are 947,983, up 1.9 percent over a year ago. Hyundai Motor America reported July sales of Hyundai and Genesis branded vehicles of 54,063, a 28 percent decline compared with the company’s best July ever in 2016. Genesis Motor America sales of 1,644 for July pushing year-to-date sales to 11,563. Kia Motors America announced July sales of 56,403 vehicles, down 5.9 percent. Year-to-date sales are 352,139, down 9.3 percent from a year ago. Subaru of America reported 55,703 vehicle sales for July 2017, a 7 percent increase over July 2016, and the best July in the history of the company. Subaru reported year-to-date sales of 360,513 vehicles, a 8.7 percent gain over the same period in 2016. Mazda North American Operations reported July U.S. sales of 27,089 vehicles, representing a decrease of 3 percent versus July of last year. Year-to-date sales through July are down 2.6 percent versus last year, with 168,713 vehicles sold. Volkswagen of America reported sales of 27,091, a 5.8 percent decrease over July 2016. Year-to-date sales are 188,329, an increase of 5.9 percent. Separately, Audi of America reported July sales of 18,824, an increase of 2.5 percent. Year-to-date sales of 121,795 is a 5.6 percent increase over last year. Mercedes-Benz USA reported July sales of 25,909. On a year-to-date basis, Mercedes-Benz retails totaled 187,869, down 1.8 percent from the previous year. Adding 2,758 for Vans and 182 for smart, MBUSA achieved a grand total of 28,849 vehicles for the month. Sales of BMW brand vehicles of 21,965 was a decrease of 14.8 percent. Year-to-date sales of 171,051 is down 4.6 percent compared to the first seven months of 2016. Mitsubishi Motors North America reported July 2017 sales of 8,025, up 1.7 percent over July 2016. Year-to-date sales are 62,601. Volvo Car USA reported U.S. sales of 6,967 vehicles for the month of July. Jaguar Land Rover North America reported July U.S. sales for both brands were 9,081, a 4 percent decrease, with Jaguar sales of 3,166, a 7 percent decrease and Land Rover sales 5,915, down 2.6 percent July 2016. Year to date, Jaguar Land Rover is up 15 percent in the United States, ahead of 2016's record sales year pace. Porsche Cars North America announced record July 2017 sales of 3,901 vehicles, a 0.6 percent increase over July 2016. Year-to-date, deliveries are up 2.9 percent compared to 2016 with 31,469 vehicle sales.